Happy new year, POD Network colleagues! 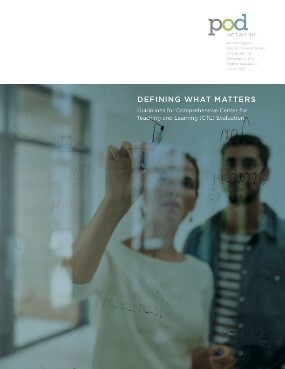 As 2019 begins, so too does our work on implementing our new five-year Strategic Plan, which will help guide our organization and profession through 2023. Many thanks to the hundreds of members who shared their responses and ideas at the conference dinner (your input was invaluable and is being incorporated into next steps), and to all of those leading and contributing to the next phase of implementation. The Mindfulness & Contemplative Pedagogy SIG would like to welcome the newest members to the SIG! Many thanks to the leadership team of Dorothe Bach, Kelsey Bitting, Katie Byrnes, Alexia Ferracuti, Sean Maley, and Ursula Sorenson. We greatlky appreciate and honor the service and leadership of Michael Sweet who helped found the SIG. Click here to view past issues of "The Mindful Moment" quarterly newsletter or email: mindful@podnetwork.org to join the newsletter. The Diversity Committee worked closely with the POD conference team to create a more inclusive conference environment. This year, with the leadership of inclusion coordinator Emily Gravett, we issued an updated inclusion guide and made a lactation and quiet space available. We reached out to local, especiallky under-represented, educational developers in order to support an increasingly diverse POD membership. This Diversity Committee and POD Network awarded one educational developoment internship grant and 11 travel fellowhips. 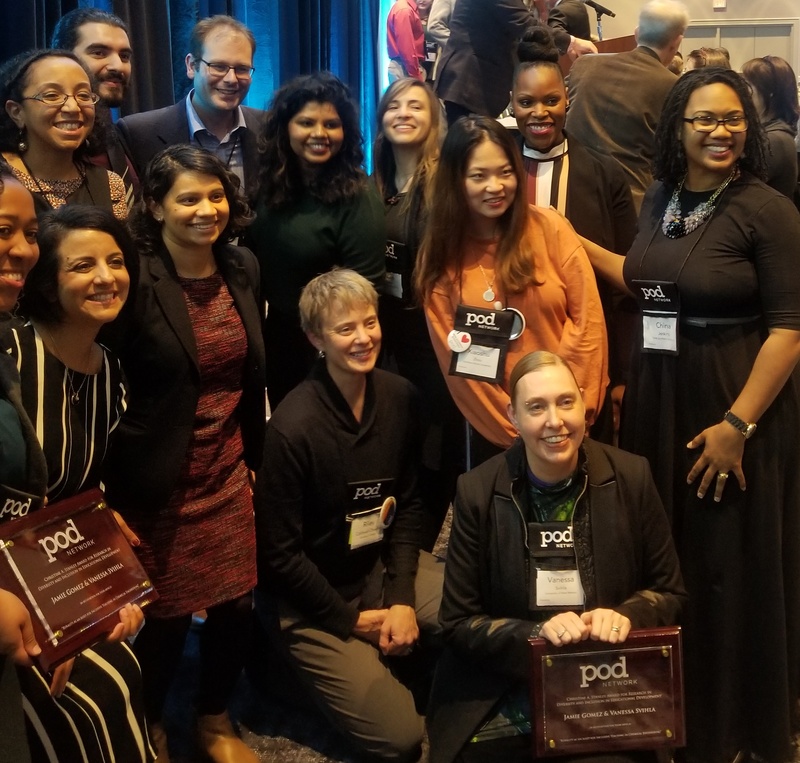 The POD Network was excited to celebrate the contributions and innovations of many of its members at the 2018 Annual Conference. To learn more about the honored recipients of the Bob Pierleoni Spirit POD Award, the POD Innovation Award, the Robert J. Menges Award for Outstanding Research in Educational Development, and the Christine A. Stanley Award for Diversity and Inclusion Research in Educational Development, click HERE. John Zubizarreta, current Director of Honors and past Director of Faculty Development at Columbia College, SC, has co-edited Breaking Barriers in Teaching and Learning (National Collegiate Honors Council, 2018), a volume that includes chapters by POD members Milt Cox, Barbara Millis, and Todd Zakrajsek. 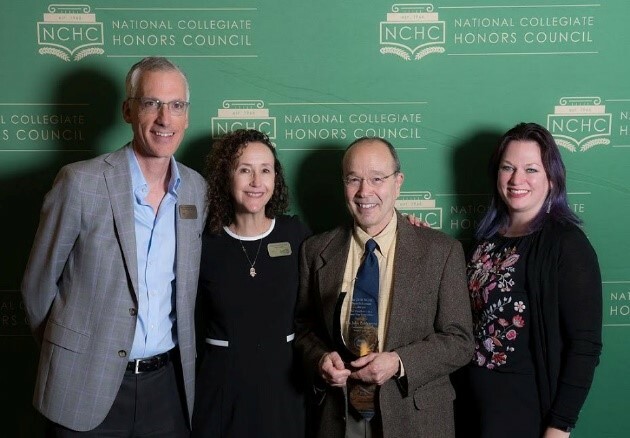 At the NCHC national conference in November, he received the Sam Schuman Award for Excellence, the organization’s highest honor for a faculty member at a senior college or university. Mary Deane Sorcinelli, Co-PI, Undergraduate Education STEM Initiative, AAU and Senior Fellow, Institute for Teaching Excellence & Faculty Development, University of Massachusetts Amherst has received a Fulbright Specialist Award to Qatar. She will work in Education City, Doha, hosted by the Center for Teaching and Learning, Texas A&M University. Sorcinelli will visit other universities in Education City, which include Carnegie Mellon, Georgetown, Hamad bin Khalifa, Northwestern, University College London, Virginia Commonwealth, and Weill Cornell Medicine. 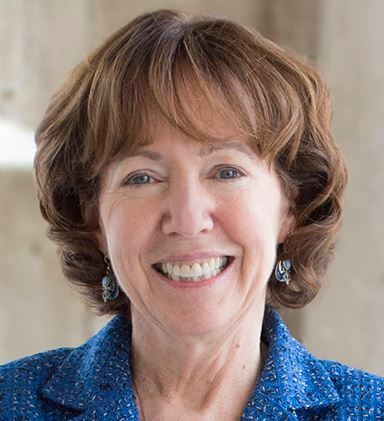 Margery Ginsberg shares a blog post published in Higher Ed Today on the motivational framework of instructional equity in higher education. It speaks to the role of intrinsic motivation as the foundation for instructional improvement in higher education. She hopes you'll take a look and welcomes feedback from the POD Network community. POD Live provides a series of thought-provoking presentations and conversations by leading educational developers. 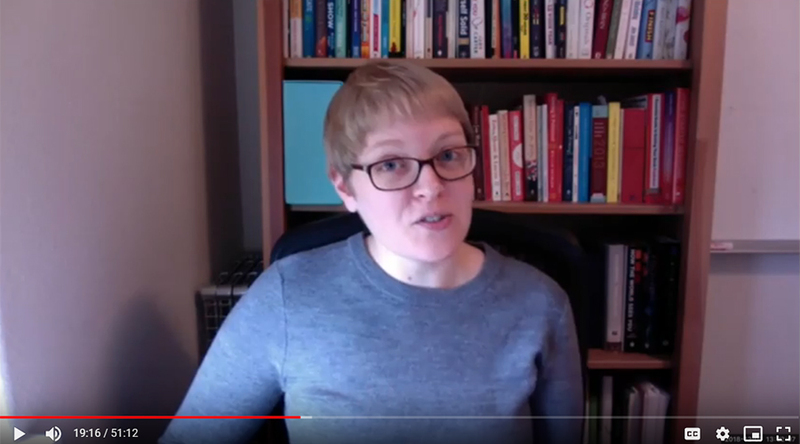 This issue features Katie Linder, (Research Director at Oregon State University Ecampus) sharing her expertise on Publishing SoED: Strategies for Effectively Sharing Your Work. Dr. Linder presents tried and true methods for getting your work placed in academic journals, edited collections, and other mediums. She also shared strategies for targeting research toward specific journals, effectively responding to revise and resubmit requests, and some tips for fitting academic writing into our already busy schedules. To access the video and audio recordings, handout, and other session materials, visit the PODLive! webpage here. How Many Teaching & Learning Centers Are There? The number of teaching and learning centers (CTLs) has been challenging to determine because it involves counting organizational units that are frequently being established, reorganized, renamed, or (less frequently) removed. This article offers a new estimate of the total population of CTLs worldwide. Additionally, it describes a new directory to be published on the POD Network website to display these units and capture the changing nature of our field. To learn more, click here. We are running the annual Educational Developers’ Caucus conference as an online event for the first time in February 2019. We would be delighted to welcome proposals for sessions and for as many as possible to join us for the event. See our website for details, this is being updated regularly as we build the conference, so please visit regularly! 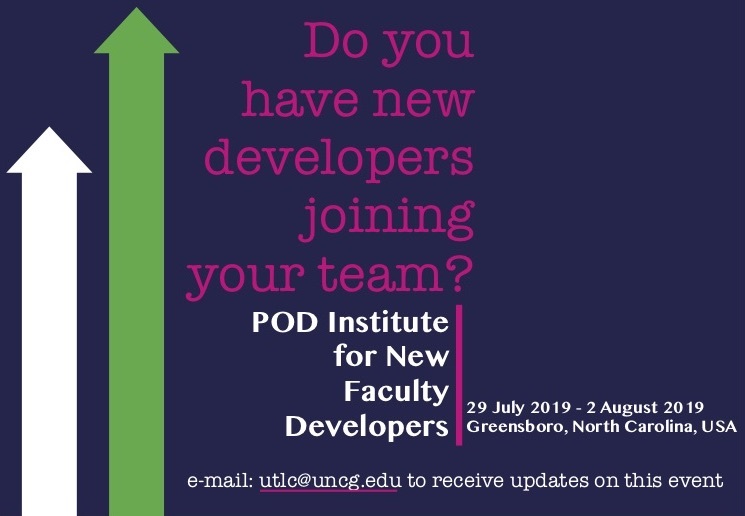 Inclusive Critical Practice (Greensboro, North Carolina; July 31-August 2, 2019) 2019 INFD is an opportunity for new developers to create networks and mentoring relationships while reflecting on their own practice. The INFD encompasses a look at the history of the field with a focus on our inclusive future. Participants will attend sessions on emerging practice and technology with “How-Tos” for application. See more information here. Save the date for this upcoming joint webinar between AAC&U and POD! (March 19, 2019, 2:00 pm EST). Registration information will be sent to POD Network members soon. A recording and resources from the fall 2018 AAC&U / POD Network webinar, Advancing Diversity and Inclusivity through Multilevel Strategic Leadership, are now available here. 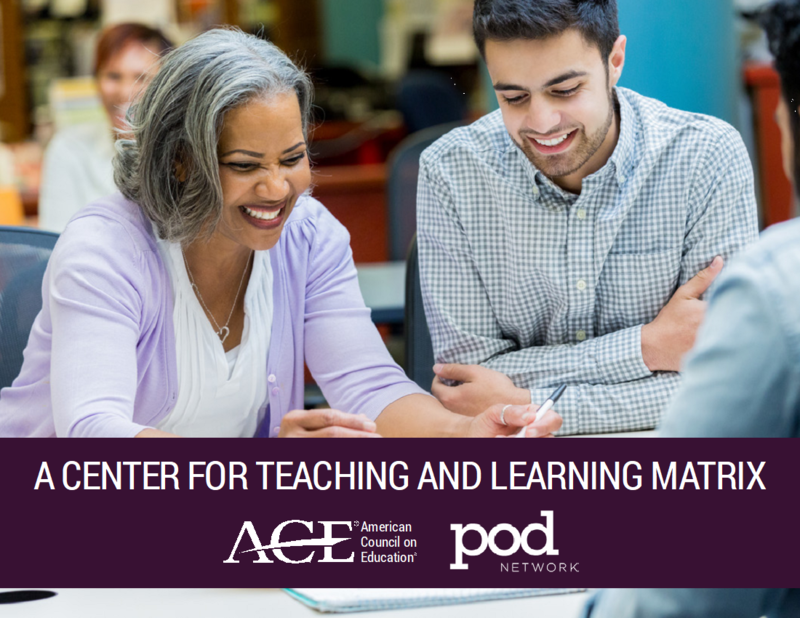 Register now for an upcoming collaborative webinar, featuring presenters from the POD Network and IDEA: January 31, 2019, 2:00 pm EST —Starting a New Center for Teaching and Learning. Editors are currently accepting proposals until February 1st that present research, theoretical frameworks, and program case studies highlighting effective strategies, innovative approaches, and unique considerations for creating professional development opportunities for remote adjunct faculty teaching online. To learn more click here. UConn has a college teaching newsletter featuring instructional strategies, summaries of SoTL research, and links to some of the most prominent news in higher ed teaching. See a recent edition here and subscribe here. 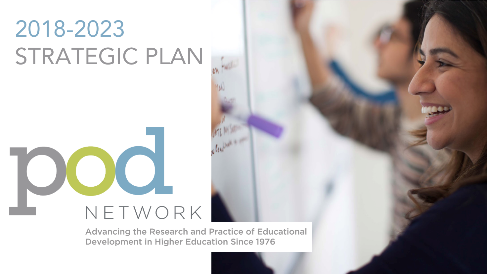 The mission of POD is to provide a community for scholars and practitioners who advance teaching and learning through faculty and organizational development. POD Network, P.O.Box 3318, Nederland, CO 80466 U.S.A. Copyright 2019, The POD Network, All Rights Reserved.